It is one thing to carry the Constitution in your pocket, or have a Constitution app on your smart phone. It is another thing to read it. It is yet another to study and understand the source of the Constitution’s philosophy, principles and purposes. While a pocket Constitution has become central to a presidential campaign moment, none of the media coverage addresses the substance of the document. “When Khizr Khan, the Harvard-educated lawyer and father of a Muslim soldier killed in Iraq, chastised Donald J. Trump at the Democratic National Convention last week, he made his point with a small, but deeply symbolic prop. Beyond the question and offer, Mr. Kahn would sharply criticize Donald Trump and warmly endorse Hillary Clinton. The back and forth between Trump, the media and Khan has focused upon the Khan family loss and an alleged insensitivity on Trump’s part. Something has been missed regarding the document the New York Times referred to as a prop. 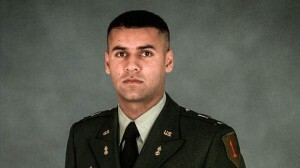 Army Captain Humayun Khan died protecting his fellow soldiers in Iraq in 2004 when a car blew up after he ordered his troops to stand back. Capt. Khan had stepped forward to check out the suspicious vehicle himself, saving the lives of his soldiers. Khizr Khan’s son courageously gave his life. Did he do it for the symbolic prop? What is This Symbolic Prop? Fundamentally, the Constitution is a legal document according to which the United States is governed. Reading the Constitution starts with the aspirational Preamble. After that it reads like the technical legal document it is. 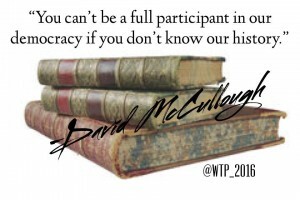 A person needs to do more than read, love, cherish or have it in your pocket to understand the Constitution. The Constitution is best understood when viewed through the lens of the Declaration of Independence. The military portion of the American Revolution started on April 19, 1775. The purposes that would “impel” the Americans to separate from Great Britain were explained to “a candid world” on July 4, 1776 with the issuance of the Declaration of Independence. By the War’s end in 1783, there would be 10,623 American casualties. The Constitution would not be in effect until 1789. The Americans were not dying for the Constitution, but for the principles of the Declaration. There is a reason behind every word in the Constitution. 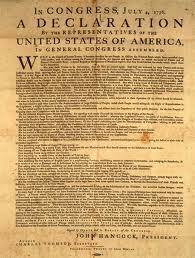 Most of the reasons can be found in the Declaration’s statement of purpose and list of grievances against King George. Knowing a congressman’s term, the Electoral College’s makeup and the Supreme Court’s jurisdiction is surely valuable, but the reasons for the government’s technical set up are not found in the Constitution. The Constitution does not state its source of principles to be executed or government evils to be avoided. The Declaration of Independence states these principles and evils. Since the Revolution, 1,190,728 American military members, including Capt. Kahn, have died in the service of our country. Though they took an oath to defend the Constitution, they did not die for lifetime Supreme Court appointments or the president’s veto power. They died to protect the self-evident truths “that all men are created equal, that they are endowed by their Creator with certain unalienable Rights, that among these are Life, Liberty and the pursuit of Happiness…” and the right of their fellow citizens to live under a government that derives its “just powers from the consent of the governed…” These ideas are from the Declaration of Independence. There was an encouraging surge in the sales of pocket Constitutions following Mr. Khan’s speech. Americans would do well to read and carry around the Declaration of Independence. Trump would also comment that the US would not have been involved in the “war” that cost Capt. Khan’s life. A real constitutional discussion from this event might have included the meaning of the Art. I, Sec. 8 provision that “Congress shall have power … to declare war.” In 2002, then Senator Hillary Clinton would vote for a resolution to authorize presidential use of force in Iraq. Congress’ continuing abdication of its duty to actually “declare war” would have been a useful discussion. 4,435 dead, 6,188 wounded. Infoplease.com While that is the “official” number, the number of Revolutionary War dead may have been as high as 8,000 and wounded as high as 25,000. United States Military Casualties of War. Through May 29, 2012. Infoplease.com. Capt. Khan was known to be a great admirer of Thomas Jefferson, author of the Declaration of Independence and founder of the University of Virginia, which Capt. Khan attended. There are 140 references to the Declaration of Independence in Constitutional Sound Bites that demonstrate the Constitution’s reliance upon the Declaration’s principles and list of the dangers inherent in government. The book also includes the complete text of the Declaration and Constitution.